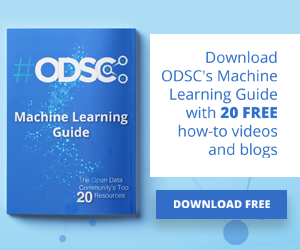 Igor Volzhanin, CEO of AI-driven marketing strategy group DataSine, gave a talk at ODSC London 2018 on the framework that his company uses to target end users with content tailored to their unique personality profiles. DataSine intersects data science with modern psychological approaches to predict what content users will resonate with. 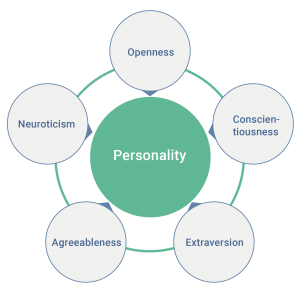 In particular, Volzhanin said DataSine relies on what are commonly called the Big Five personality traits: openness, conscientiousness, extraversion, agreeableness, and neuroticism, or OCEAN. According to a paper by Oliver P. John and Sanjay Srivastava, OCEAN has been widely recognized as a useful theoretical framework for classifying personality types for more than half a century. Donald W. Fiske of University of Chicago launched it with seminal work in 1949. Volzhanin received his Ph.D. in applied behavioral research at Birkbeck, University of London this year. He recognized the potential to apply of the OCEAN model to marketing tasks, especially modeling the preferences of a customer base. In particular, it solved many of the problems in existing market segmentation techniques, which cluster customers based on commonalities. “The problem with clustering, in general, tends to be that these clusters either end up being self-explanatory, or tend to be very broad,” Volzhanin said. 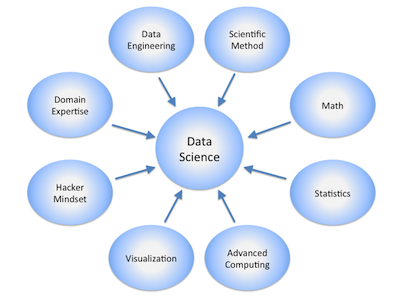 Fundamental principles OCEAN’s framework set it apart from previous attempts to merge psychology with data science. “This particular model was actually data-driven from the beginning,” Volzhanin said. Instead of clustering people based on categorical, qualitative attributes — such as their race, whether they have children, and similar factors — OCEAN works by deriving five different scores for the aforementioned personality traits, ranging from zero to 100. Data scientists will recognize these as nearly ideal conditions for modeling: continuous variables that are easy to normalize and throw into most machine learning algorithms. After modeling a user’s preferences according to OCEAN, DataSine uses a second method borrowed from psychology called ‘mirroring.’ Mirroring is a common approach most people subconsciously use to build rapport with a stranger by mimicking their energy level, gestures and mannerisms, making them feel more comfortable. In this context, DataSine mirrors users by adjusting the templates for marketing materials according to their OCEAN profiles. The company’s model substitutes words, phrases, and images for ones that are more likely to resonate with a given user. For example, if extroverts are more receptive to images with bold oranges and reds, it doesn’t make much sense to target someone with a low extroversion OCEAN score with these marketing materials. DataSine’s models are able to pick up on this. In turn, they will offer suggestions to adjust the messaging — say, by substituting those orange-heavy images for ones with subdued greens and blues. According to DataSine, their results demonstrate that their model is robust enough to work in the real world. Volzhanin said they were able to boost sales at a call center in France by creating a custom script that marketers could adjust based on the customer’s personality. By simply switching from phrases like “Hello, Mr. Smith” to “Hey, John”, the call center saw a 71 percent increase in sales. Similarly, an online-only bank in Belgium boosted customer engagement by 80 percent by targeting their marketing efforts at introverts. Volzhanin said he recognizes the need for explainability when dealing with business models such as his company’s. In order to assist marketers in adjusting their marketing materials, the model must output content that is easy for someone without a background in data to understand. “Now we’re spending a lot more time actually creating these particular explainability factors,” Volzhanin said. 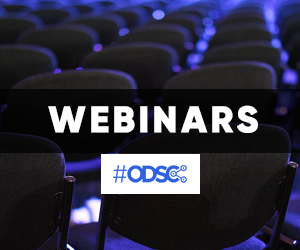 To get a more in-depth look at how DataSine is merging modern psychology with data science, watch Volzhanin’s talk at ODSC London 2018, available on YouTube.